Clutter-free home seems like a mission impossible. 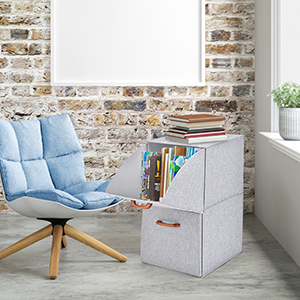 Now take it easy and just take one step at a time with MaidMAX 2-Tier Storage Bin which is a simple yet stylish storage solution to your home and office. 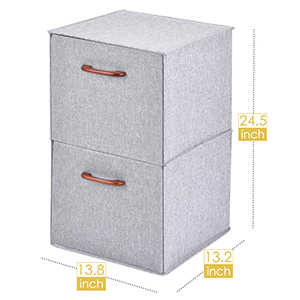 Measuring 13.8″L x 13.2″W x 24.5″H, this Storage Bin offers ample space for your stuff and keeps them neatly in place. 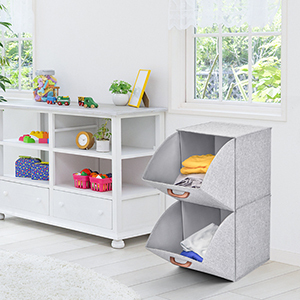 Made of durable polyester with cardboards inserted, it offers reliable strength and stability, making it a great organizer to remain clutter-free even in your kid’s room. 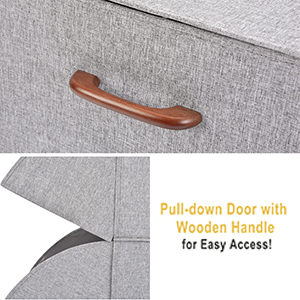 Featuring a wooden handle on each door, the Storage Shelf provides quick and easy access to the items inside while keeping them free from dust and moisture. It is smooth to pull down or close the door, even for kids. The Free-standing Organizer is an excellent storage solution and a stylish addition to any home or office. 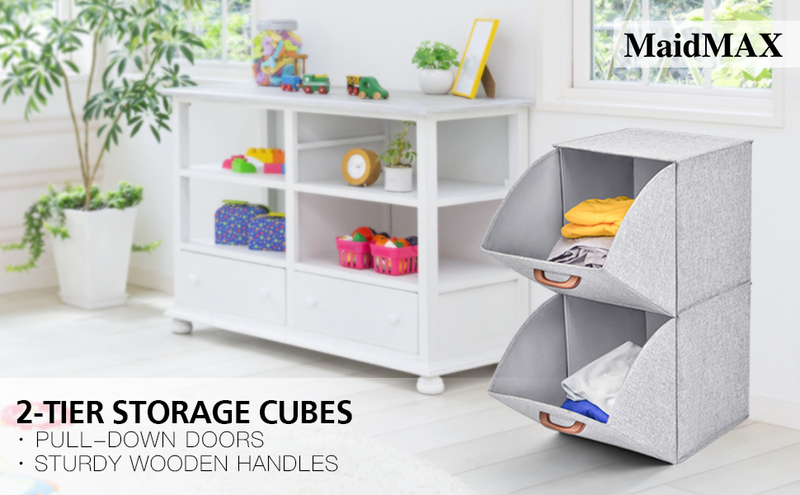 It can be used to store toys or books in your kid’s room, to store clothes in bedroom or inside a closet, to keep games, snacks or daily necessities in the living room or hold files in your office. When it is not in use, fold it flat to save space. 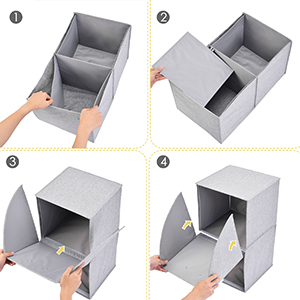 A few minutes is all it takes to assemble this Storage Box! Firstly, screw the handle to the door. 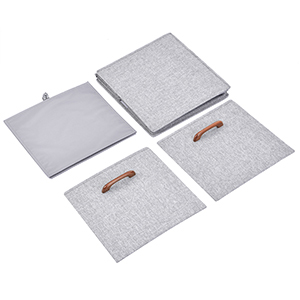 Then unfold the organizer by placing the side panels down and inserting the supporting boards to the back. Insert the panels of the door in between the shelf and its side panels. Stick the hook and loop tape to fix the door.